The ability to provide a rich selection of goods and services for potential customers has aided the rapid growth of peer-to-peer platforms. Airbnb, one of the most successful of these, defines itself as "a social website that connects people who have space to share with those who are looking for a place to stay." Because of its rapid growth and popularity since Airbnb's launch in 2008, hotel industry leaders worldwide have been attempting to answer the Airbnb challenge. What impact will the homeshare service have on the hotel industry? With each discussion comes a variety of responses and platforms, some accusing Airbnb of unlawful practices and others praising Airbnb for its innovative platform. Any supply, whether it is apartments, hotels, villas, B&Bs or private rentals, affects hotel supply and subsequent demand. From a consumer's standpoint, now is a great time to find and book whatever kind of lodging one may be looking for because of the multitude of options. 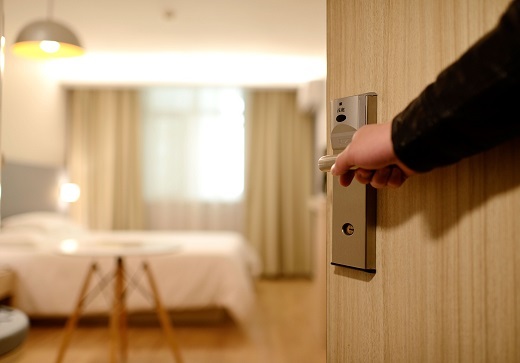 The desired type of lodging depends upon the purpose of the consumer's travel, and location and price have an impact on hotel demand as well. At present, Airbnb is reported to account only for 1 to 2 percent of entire hotel demand, but Airbnb's greatest effect on that demand is seen in large, popular cities such as Los Angeles, New York City, San Francisco and Chicago. In these cities, according to AHLA reports, Airbnb cuts into 5 to 7 percent of hotel demand. Taxes are a controversial issue in the debate over vacation rentals, with hoteliers complaining that most homeowners who rent via Airbnb have an edge because they don't pay them. Previously, homeshare platforms took advantage of one of the tax code's best freebies: a provision allowing people who rent out their homes fewer than 15 days a year to pocket the income tax-free. However, this is starting to change because once hotel industry leaders caught wind of this exemption, they began to take steps to eliminate it.